Commemorate your child's special day with this fiesta flag theme keepsake bookmark. 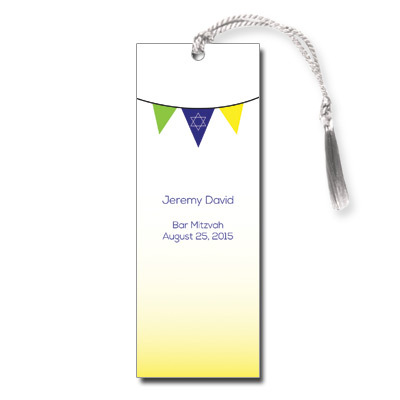 This bookmark features a white and yellow background accented by a flag banner featuring the Star of David, personalized with your child's name and event date. Bookmark measures 2 x 5.5 and comes with white tassels; light assembly required.